Joey takes responsibility for his actions and faces the consequences. 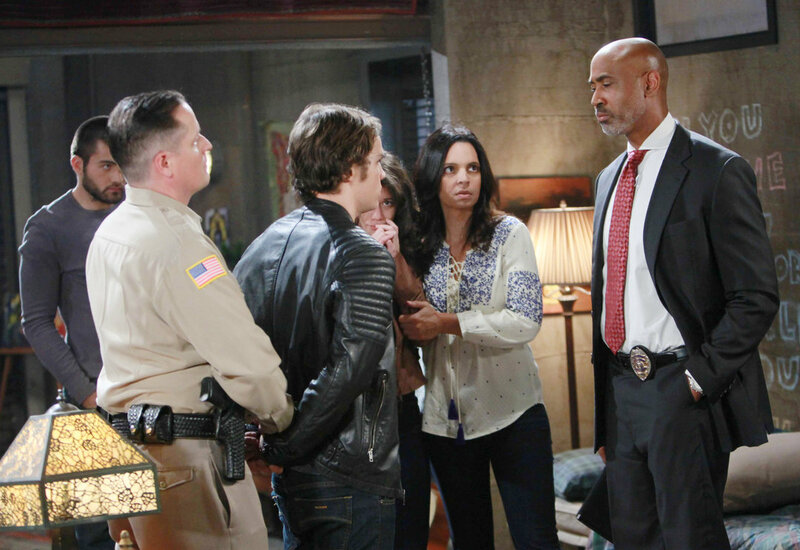 Check out the day-to-day spoilers and a sneak peek below to find out what's happening on NBC soap opera Days of our Lives during the week of May 30-June 3, 2016. Days is pre-empted due to NBC coverage of the 2016 French Open Tennis Championship. Hope comforts a distraught Aiden; Adriana makes a mysterious phone call, summoning someone to town; Joey takes a dark turn and robs a souvenir shop for Jade; Kayla seeks comfort in Fynn's arms. Despite her declining health, Kayla insists John take her to find Steve and Joey; Joey takes responsibility for his actions and faces the consequences; Nicole and Deimos kiss passionately just as Kate arrives to witness. - Charles Shaughnessy and Patsy Pease Returning to 'Days of our Lives' as Kim and Shane?